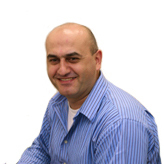 Mr. Khouri has more than 20 years of experience in the real estate development, construction and engineering industries. He has been a trusted partner, providing environmental consulting services to public and private sector clients including developers, real estate owners, investors, facility managers and city, state and federal agencies and municipalities. Tarek has a wealth of experience integrating environmental risk management with land use planning, resource management, and sustainable development to meet the needs and objectives of clients and stakeholders in urban and rural environments. He has played a key role in major NY Metro Region projects including MTA CCC’s LIRR East Side Access, Columbia University’s Manhattanville Expansion, Bayside Fuel Oil Depot Corporation Remediation, Long Island College Hospital Development, New York Jets Training Facility at Florham Park, LCP Chemicals Superfund Site and FAA Technical Center’s Area D Jet Fuel Farm. Tarek has also managed a multitude of land development projects in Africa, France, Oman, Qatar, Saudi Arabia, UAE and Lebanon. Tarek is a licensed Professional Engineer in New York, New Jersey, Connecticut, Maryland, Massachusetts, Pennsylvania, Rhode Island, Texas and Virginia. Mark E. Robbins, P.G., C.P.G., C.E.I. Mr. Robbins has over 25 years of experience in geology and hydrogeology, and has extensive experience with Phase I and Phase II Environmental Site Assessments, Remedial Actions, Data Acquisition, Evaluation and Contouring, and Geotechnical Investigations. Mr. Robbins has performed over 400 Phase I Assessments, involving everything from residential use to to heavy industrial use properties, and over 200 Subsurface Investigations throughout the United States. Mr. Robbins has also designed and implemented over 20 remediation systems for both the public and private sectors. 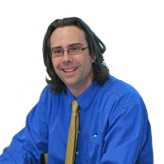 Dr. Paul Matli has extensive experience in the field of groundwater investigation and remediation. He has performed several projects including Phase I, Phase II, and Phase III remediation. Dr. Matli has worked on implementations of groundwater investigations for numerous gasoline stations and dry cleaners. He has also worked on remediation of hazardous waste sites. 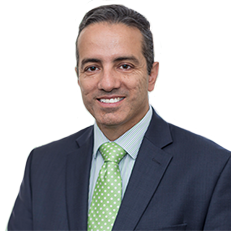 Dr. Matli also has extensive experience with Superfund sites, data validation, process analysis, and designing treatment systems. He is OSHA certified and is involved with training new employees in the field. Dorina Aliu provides multifaceted environmental engineering support services to Hydro Tech’s private and public client base. These services include Phase I and II ESAs; remedial investigation, design, and oversight; and community air monitoring. Mrs. Aliu is also working with several governmental agencies to facilitate project flow and approvals, such as the NYSDEC, NYCDEP, and NYCOER. Her environmental engineering experience includes her role as a Sustainability Associate, Engineering and Construction, for Con Edison’s Environmental Health and Safety Department, where she participated in environmental inspections to monitor State Pollution Discharge Elimination System compliance. She was also responsible for reviewing and updating environmental, health, and safety specifications related to waste management and environmental project planning.